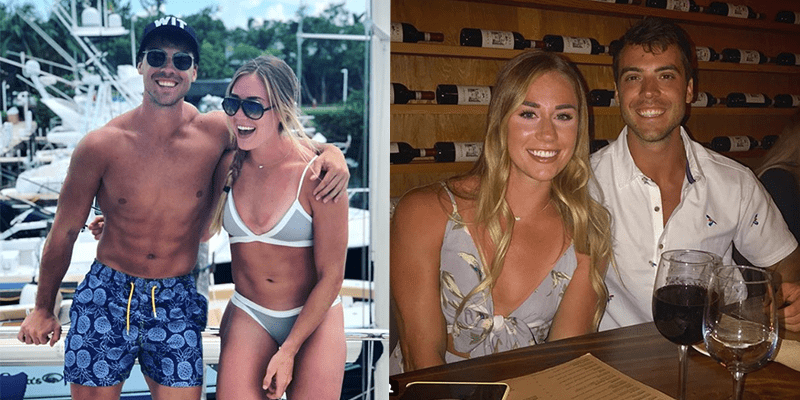 Brooke Wells has opened up on the social media romance saga with fellow Games athlete Alec Smith. During a recent promotional trip to the Bahamas, the two CrossFit stars caused a massive stir online with a series of pictures appearing to show the two dating, followed by a “friend zone” post, which was intended to put the rumours to rest. In fact, the opposite was true, with the two being bombarded with even more messages, comments and questions about their “are-they-aren’t-they” relationship. In a new podcast released this week, AMRAP, the 4-time Games athlete discussed the relationship and how it’s probably not what you think. It was all a hoax. The two had been receiving messages for months from fans online suggesting that they should be together, and decided to play up to the social media frenzy while were in the Bahamas. “Why don’t we pretend that we’re dating so that everyone thinks that we are?” Brooke recalls them discussing. At the end of the trip, Brooke posted a “Friend Zone” story on Instagram intended to put an end to it, but that backfired, generating even more buzz online. “It’s the never ending joke. It’s so much fun. But this is going to spoil it,” Brooke tells Will Edmonds on the AMRAP podcast. You can listen to the entire interview by searching for AMRAP wherever you get your podcasts, where Brooke also discusses the changes to the CrossFit Games schedule, the ups and downs of her 2018 Games, and what it’s like to have fans tattooing her face on themselves.